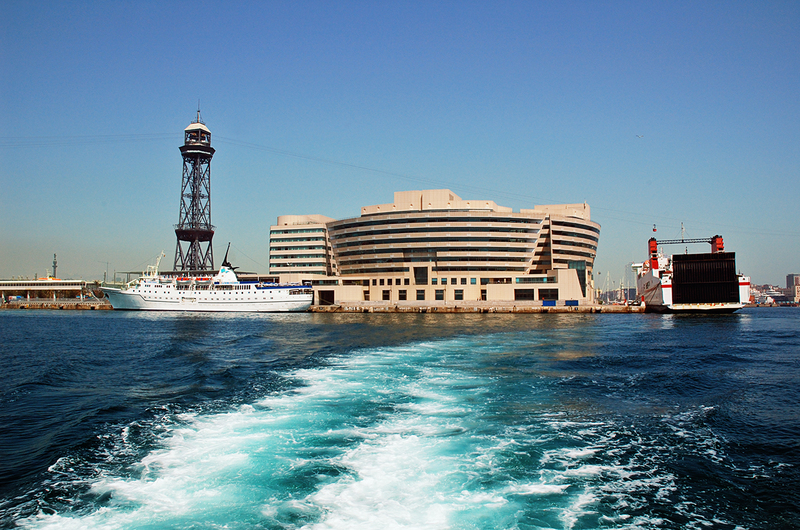 Here is a very deceptive image in the sense that Barcelona World Trade Center looks like a small scale model next to an enormous cruiser moored to the pier. Maybe the other ship on the left helps the viewer find out what is huge and what is normal size here. Perhaps if you are an enthusiast of Barcelona Photoblog you remember that picture where I showed the other side of the pier: WTC: A Close Look. To have an idea of how it would all look from above watch it from the Mirador on Montjuic mountain.